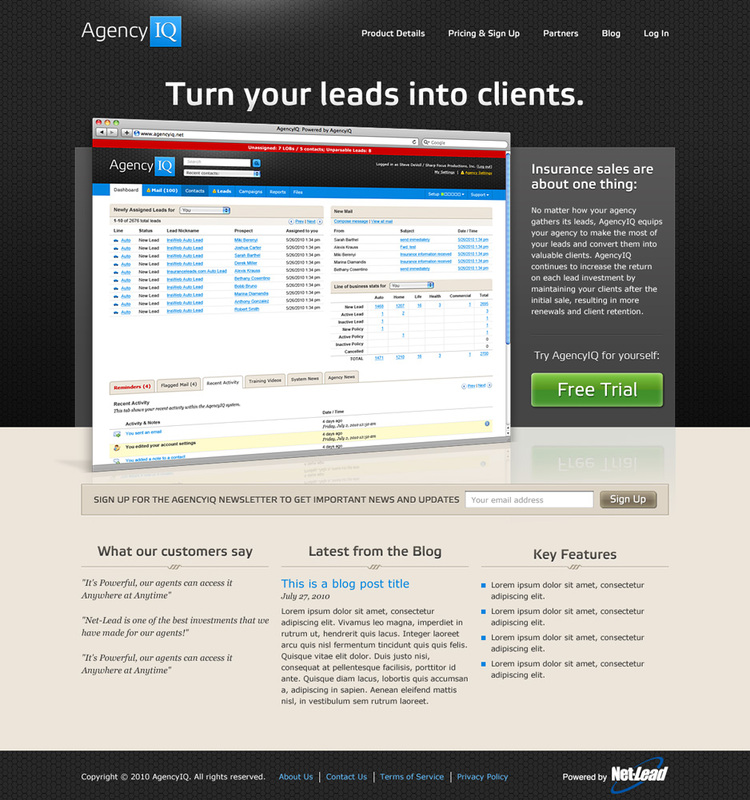 Redesign of insurance lead-tracking web application and marketing website. 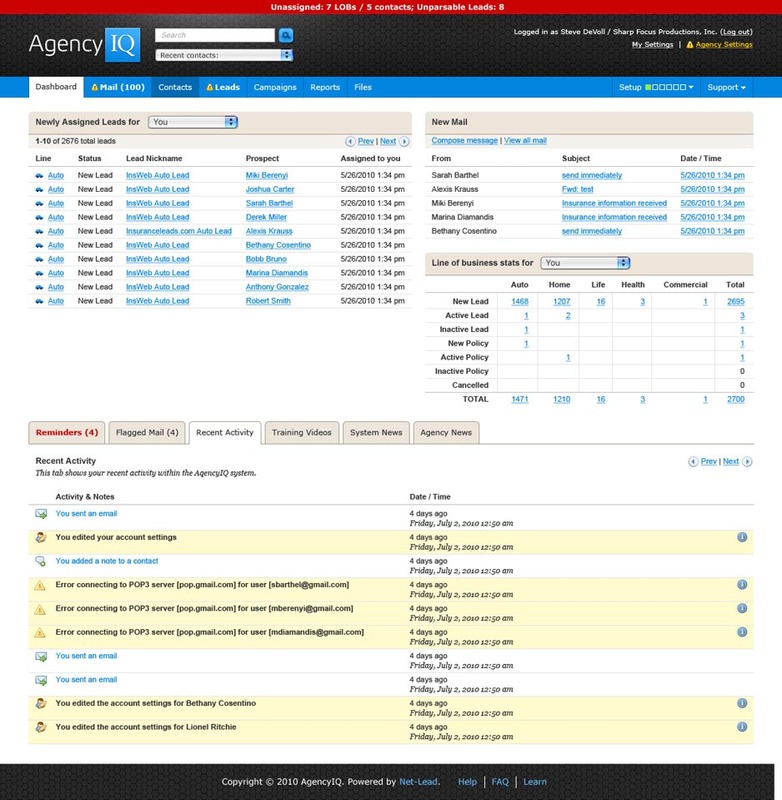 AgencyIQ is a web application built to help insurance professionals manage leads. 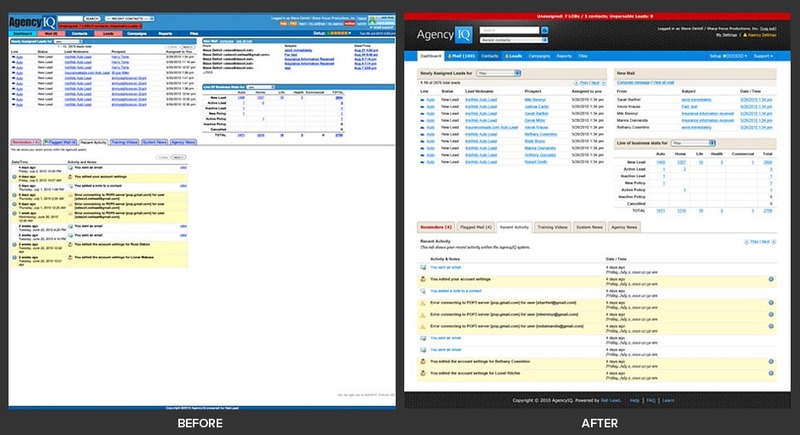 Functionally, it was working, but as you can see from the before & after images above, there was quite a bit or room for improvement in the visual design of the app. Quite a bit of work happened here. I poked and prodded, asking lots of questions to figure out what all the color codings and terminology meant as well as how all of these elements worked together. The result of this research was some much-needed distillation of what should be included in this header and a consistent visual language. It’s amazing what a little padding, patterns and a consistent grid can do. As part of the application redesign, I also designed the new marketing site, porting over some of the application’s design elements to create a nice link between the two. And, as a bonus, the client gave me some slack with which to clean up the logo, which is used here as well as in the application. A grand improvement, if I do say so myself!